Gardening Tips Blog, How To Grow Different Types Of Flowers, Vegetables, Herbs and Fruit, for those starting a garden to those experienced gardeners, quality easy to follow gardening guide. Vegetable garden tips for those just starting a vegetable garden as well as the more experienced gardener.Effective easy to follow vegetable gardening tips. Continue reading "Vegetable Garden Tips, Starting A Vegetable Garden Made Easy"
Vegetable garden planting guide, vegetable gardening made easy with how to articles, from A to Z of planning a vegetable garden. Starting a vegetable garden made easy. Continue reading "Vegetable Garden Planting Guide, Easy To Follow Vegetable Garden Tips"
Vegetable garden layout guide shows you how to layout your vegetable garden in the most efficient way possible both for you and your vegetables.Vegetable garden planting made easier! Continue reading "Vegetable Garden Layout Guide, Vegetable Garden Planting Tips"
Starting a vegetable garden is easy once you follow my guide. Know how to start a vegetable garden and maintain it sucessfully. Continue reading "Starting a vegetable garden, How to start a vegetable garden, tips and advice"
Starting a garden, including starting a vegetable garden, is made easy with our how to articles that guide you easily through the whole process. Everything you need to know about starting your own garden from scratch. Continue reading "Starting A Garden, Easy To Follow "How To" Articles On Starting Your Own Garden"
Learn how to grow tomatoes and enjoy fresh sweet tomatoes grown in your own garden. Growing tomatoes is simple with our easy to follow guide. Continue reading "How To Grow Tomatoes, Growing Tomatoes Made Easy"
Continue reading "How To Grow Pumpkins and Squashes, Vegetable Garden Tips"
How to grow peppers and chillies provides you with all the basic information you need to start growing your own peppers and chillies such as Purple beauty and Gypsy peppers. Our vegetable gardening tips show you everything you need to know about starting a vegetable garden of your own. Continue reading "How To Grow Peppers and Chillies Made Easy"
How to grow cucumbers made easy is just one part of our easy to follow vegetable garden tips that will have you growing your own vegetables in no time. Continue reading "How To Grow Cucumbers, Growing Cucumbers Made Easy"
Our how to grow Broccoli guide shows you everything you need to growing Broccoli including vegetable garden tips that take you through the whole process of starting a vegetable garden of your own. Continue reading "How To Grow Broccoli, Growing Broccoli Made Easy"
Know how to grow asparagus easily with our vegetable garden tips, an A to Z of starting a vegetable garden and growing your very own vegetables. Continue reading "How To Grow Asparagus, Guide To Growing Asparagus Easily"
Guide to growing herb garden plants shows you all you need to know about how to start a herb garden of your own, including ideas for growing herbs in containers. Continue reading "Growing Herb Garden Plants, Starting An Herb Garden Made Easy"
Our growing Cabbage guide shows you everything you need to know whether you are starting a vegetable garden or looking for vegetable garden tips. Continue reading "Growing Cabbage, How To Grow Cabbage Made Easy"
Growing Rose Gaujard and New Dawn roses gives you two of the most popular of all roses. Discover all you need to know about growing these two different types of roses. Continue reading "Growing Rose Gaujard and New Dawn Roses"
Josephs Coat rose is a multicolored repeat flowering climbing rose that flowers until first frost. Roses like this makes growing climbing roses easy work. Continue reading "Josephs Coat Rose Makes Growing Climbing Roses Easy"
How to plant roses and grow roses easily in borders and island beds, including how to grow climbing roses. 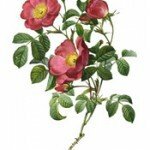 All you need to know about growing roses. Continue reading "How To Plant Roses, How To Grow Roses Made Easy"
How to prune roses easily and successfully, pruning rose bushes and climbing roses is far easier than you think and is a vital part of growing roses successfully. Continue reading "How To Prune Roses, Pruning Climbing Roses and Rose Bushes"
Growing roses from seed is easy and great fun with our easy to follow guide to growing your very own different types of roses that will be distinct to your garden. Continue reading "Growing Roses From Seed, Growing Your Own Types Of Roses"
Growing roses from cuttings means you can grow your favorite different types of roses without spending a fortune, an easy to follow guide to increasing the amount of roses in your garden. Continue reading "Growing Roses From Cuttings, Growing Rose Cuttings Successfully"
Growing roses is my complete guide to growing roses for beginners and experienced alike. 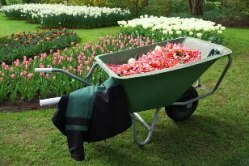 From how to plant roses, how to prune roses and rose bush care maintenance. Continue reading "Growing Roses, How To Plant and Grow Roses Like An Expert"
Growing different types of roses easily in your garden, how to grow different rose types, from how to plant roses to how to prune roses and the care of roses in general. Continue reading "Different Types of Roses, Guide To Growing Different Rose Types"
Taking care of roses is easy with this simple to follow all year round plan for rose bush care and maintenance. It's gardening and caring for roses that gives you the results you want. Continue reading "Care Of Roses, Taking Care Of Different Types Of Roses"
Continue reading "Gardening Tips Blog, How To Grow Different Types Of Flowers, Vegetables, Herbs and Fruit"
Gardening tips and how to advice on starting a garden and growing successfully. From how to grow flowers, to starting a vegetable garden tips to growing herb garden plants and growing fruit. Continue reading "Gardening Tips, How To Grow Different Types Of Flowers, Vegetables, Herbs and Fruit"